Complete simple online tasks like writing articles, taking surveys or categorizing images earn some money on the side. It won't replace your day job, but it can be a great way to fill those spare minutes. Amazon's Mechanical Turk program allows users to get paid for completing simple tasks online. While this is not something that will earn enough cash to replace a job by any means, it is an option for earning some extra money on the side. Find out more about this program and how to get started. Even the name sounds confusing to some and does not sufficiently explain what someone acting as an "MTurk" does exactly. These tasks are not performed directly for Amazon, but for businesses or individuals in need of work completed. Amazon offers the mechanical turk platform as a way for these businesses and individuals to gain access to a virtual workforce. These tasks are often referred to as "HITs" or "human intelligence tasks." A HIT is a task that, once completed correctly, compensates the user. Each task offers a brief explanation of what will be required to complete it. Understand what will be expected from each task before accepting it into your workload. Each task also displays the pay for that particular task which should also be reviewed before agreeing to complete the task. Some tasks are very time consuming with very little compensation. Learn to choose tasks you feel are worthy of the amount of time needed to complete them. What Types of Tasks Are Offered? A large variety of tasks are offered on Amazon's Mechanical Turk. It is not out of the norm for the platform to hold several hundred thousand tasks at one time, leaving users plenty of variety in work to choose from. Tasks can range from writing articles, completing surveys, categorizing images, research, writing reviews, and categorizing products. The pay can range from $.01 to $5 on average. Getting started is easy; an account can be opened within a minute. Once you open an account you can start reviewing and completing tasks right away. It may take some time to get a grasp on which tasks are the best fit for you. Most users report being able to make around minimum wage completing tasks. This may be worthwhile for some but not for others. Working as an MTurk offers a way to make extra cash while relaxing on your couch or while on your lunch break, but don't think of it as a job or you may be disappointed. Some users do report eventually being able to receive higher pay working as a mechanical turk. New users start out as beginners and can eventually be moved up to intermediate level and then finally to master level. With quality work, users can work their way up to higher paying tasks. 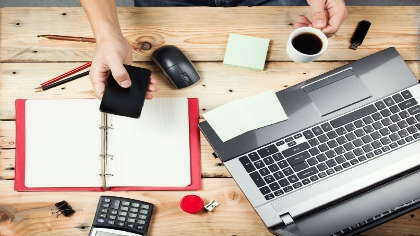 Working short tasks for cash may not be ideal for everyone looking for work from home, but it may be a great option for filling in the gaps between other work from home assignments or to fill in some extra free time. Visit the Amazon Mechanical Turk website to view more frequently asked questions or to sign up and get started working.